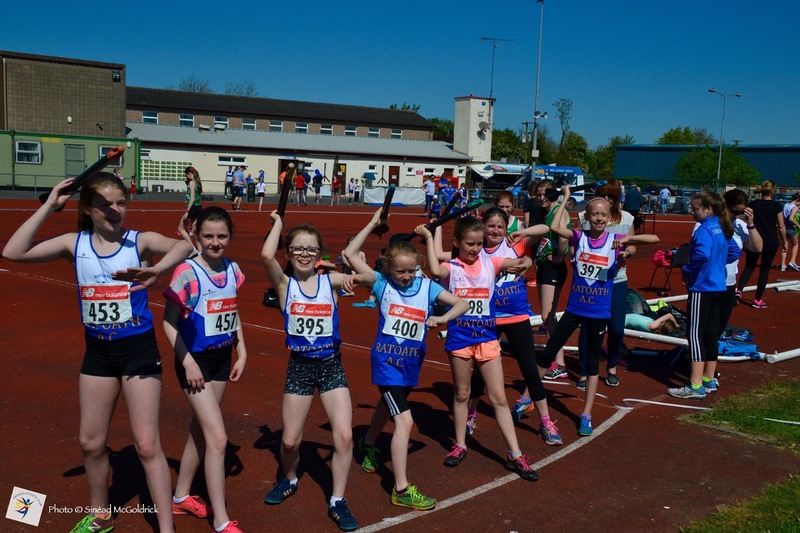 We had great success at the weekend in Navan at the Meath u12-18 Track and Field Championships, with 40 athletes in action over the 2 days the club brought home a record 52 medals, 26 Gold, 19 Silver and 7 bronze. 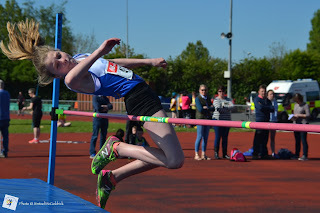 Matthew Buckley and Caoimhe Fitzsimons were our only representatives on Saturday and both put in strong performances with Caoimhe winning the u12 girls 60m hurdles and Matthew winning the U16 boys 300m Hurdles. 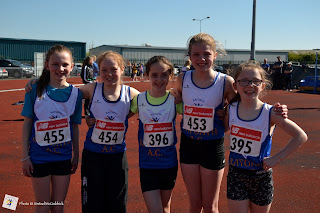 Niamh Murphy put in a terrific performance in the girls u12 60m to take gold by narrowest of margins, 100th of a second splitting 1st and 2nd in the end, Aobh Forde put in another great sprinting display to take silver in the u13 girls 60m. 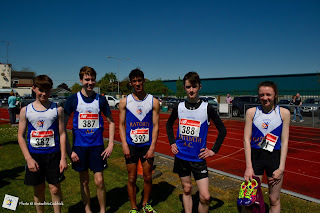 Emma O’Connell had to run her final twice but came away with the Gold in the u15 girls 100m, Jed Walsh and Oisin Mckenna competing at the Meath’s for the first time for the Club finished 1st and 2nd in the u15 boys 100 & 200m. 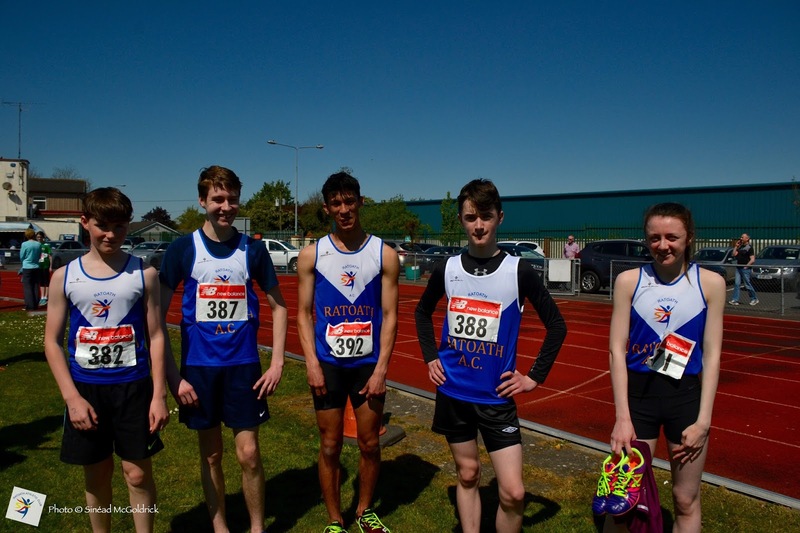 Ella Healy finished 2nd in the girls u15 200m and Ben Toole claimed gold with Rafa McCaffery 2nd in the boys u16 200m. Rafa put in a strong performance in the boys u16 100m finishing 1st with Kevin Conway piped for 3rd. 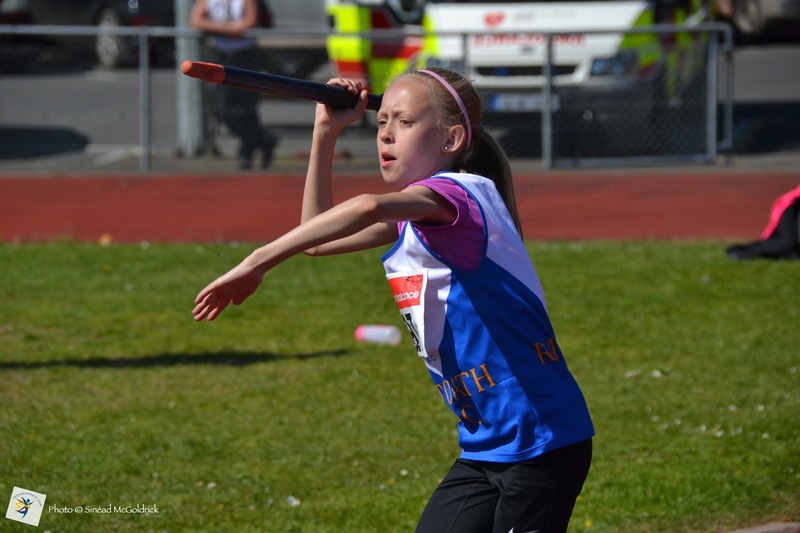 Emma Coroner was back competing after some time out of competition and put in a good run to finish 2nd in the girls u16 100 and 200m. Fionn Drummond put in a strong run in the u14 boys 200m finishing 2nd. Our All Ireland Indoor Champion Cara O’Sullivan put in another great display jumping 1.30m to win the girls u12 high jump, Laura Kelly took gold also in the u13 girls high jump with Niamh Murray 3rd. Stephen Walsh finished 2nd in the boys u13 high jump, Fionn Drummond 1st u14 and Adam Quinn 2nd in the u16 boys high jump. 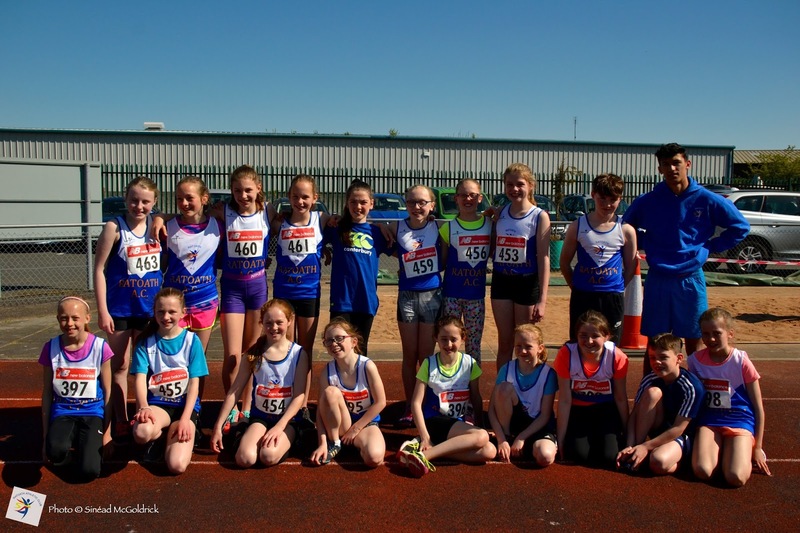 Caoimhe Fitzsimons and Cara O’Sullivan finished 1st and 2nd in the girl’s u12 long jump and Marcus Clarke claimed gold in the u15 boys event. 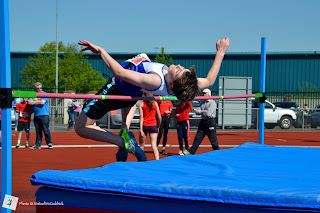 Rafa McCaffery was back jumping at his best again finishing 1st in the u16 boys long jump. 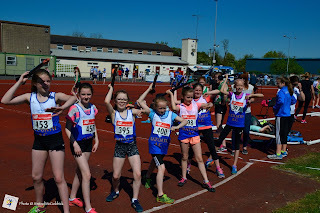 U12 girls are excelling at the throws at the moment with Sadhbh Kelly and Eline Lund taking Gold and Silver in the u12 Girls Shot Put, Eline and Sadhbh traded places for the Turbo Javelin taking another Gold & Silver, Ciara Coroner was unlucky to just finish outside the medals in 4th. 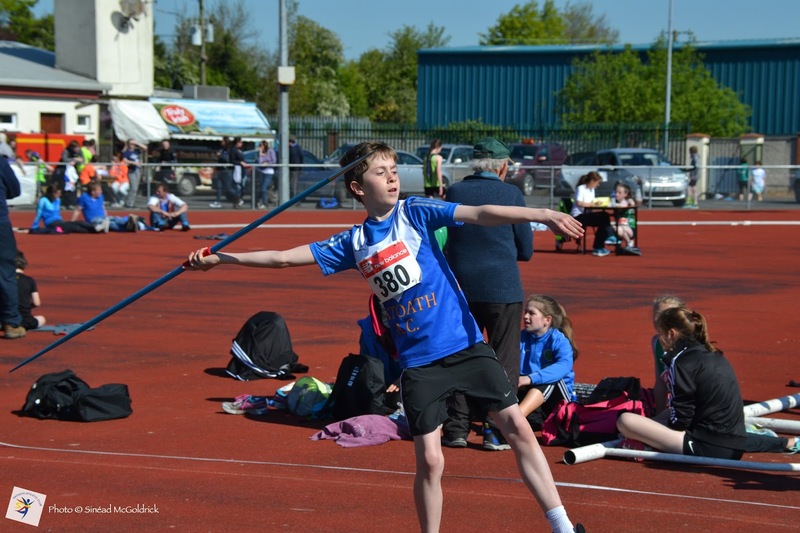 Our u13 girls were strong also in the throws, Sophie Quinn winning the u13 girls javelin, Sam Carey took gold in the u13 boys Shot Putt and Bronze in the javelin, Stephen Walsh took silver in the u13 boys Javelin. Niamh Murray medalled again in the u13 girls shot finishing 3rd with Amy Forde 4th and Lili Nannery 6th. 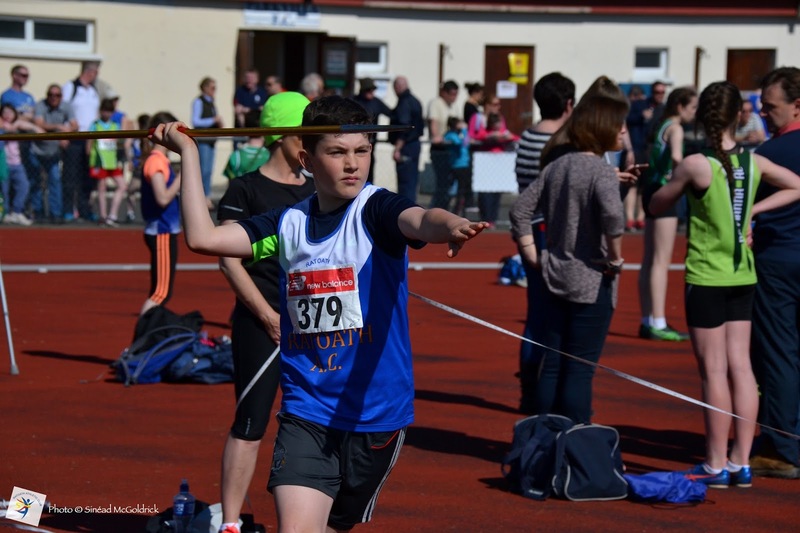 Fionn Drummond claimed his second gold of the day winning the boys u14 shot. Our middle distance athletes put in confident displays in preparation for their up and coming Leinster's, Sophie Quinn and Aimee Doherty put in dominant performances in the girls u13 600m and girls u14 800m with gun to tape runs to take gold. Kyle Witter had a great run in both the u14 boys 800 and 1500m events finishing 3rd and 2nd. Eoin Kane also put in a great run to win the u13 boys 600m comfortably. Amelia Campbell and Laura Smith competing in the 1500m for the first time put in great performances to take Gold and Silver. Matthew Hayes despite injuring himself in the warm finished 1st in the u15 boys 800m followed in by Tom Kilgannon and Oisín Kelly who put in a terrific final sprint to take silver & bronze. Marcus Clarke claimed another Gold this time in his more familiar event the boys u15, 1500 with Stephen Kiernan 2nd. Thank you to our club committee members who officiated on the day and to the parents for traveling down to support the club.